Writing high quality articles for any reason can be difficult and stressful. You need to be coherent, grammatically correct, and get your message across to your audience in a convincing manner, which is no easy task. And when you add SEO keywords and a focus on user friendly content into the mix, it can seem impossible to share your message properly. Thankfully, there are some insider tips on producing amazing content that will also improve your search engine rankings, and send thousands of visitors your way. While you can take every possible measure to optimize your article, if it’s not well-written, informative, and relevant to what the reader is looking for, they’re not going to stick around. Make sure you have awesome content before taking any other steps. While quality can sound subjective, there is a great guide here on what quality really means, and how to make sure your pages will be appealing to both humans and search engines. Bear in mind that Google ranking is very intelligent, and that your posts will rank lower if they’re not in a user friendly format, and if there are no external or embedded links like infographics or videos. This guide from Forbes is very simple to follow and could drastically improve your rankings. Once you have your awesome article, have a look through it and make sure your keywords are 1-3% of the content. It’s important not too overstuff your article with them, as that can put off both your readers and search engines, however popping them in the first few sentences and subheadings can sound natural, and will be enough to get picked up by search engines. Researching keywords may sound time consuming, and you may believe you know what keywords are relevant, however, as this graph from Moz.com shows, using the right keywords can take your audience from tens to millions. While this research may sound kind of technical and difficult, there’s a simple beginner’s guide available here that can take you through the whole process easily and ensure you’re ensuing the exact right terms to drive your audience to your website. Any article you post should be no less than three hundred words. Any shorter and it’s unlikely to get picked up by search engines, or contain enough information to interest your reader. While waffling to fill your worked count isn’t good, 300 can easily be met by using a good structure. And the length of your article doesn’t only drive traffic to your site, it can also have a huge impact on how visitors treat your content – as this graph from Buzz Sumo shows longer articles are shared, and your audience can end up advertising your site, potentially to other customers. While not everything you post will be worth writing 3000 words, it’s good to have a goal to post longer content frequently. This improves your chances of your audience spreading the word about you by sharing your posts on social media. Scrolling through page after page of content is not appealing, or ‘user friendly.’ Improve your rating on search engines, and be more attractive to the reader by using short sentences, paragraphs, subheadings, lists, and any other number of different writing methods. It’s much easier to take in than thousands of words. There’s a great guide for this on Reliablesoft.net that can be used as a checklist for user friendly content. This is one of the best ways to improve your SEO rankings, as adding bold and italics, making sure your keywords are in the introduction and is a time and cost efficient editing exercise. A great visual example is this demonstration from SEOpressor which effectively demonstrates how much more appealing content is when broken down a little. Readability test tool will test the reading level required for your text, ensuring something meant for the public isn’t overly difficult, but that a formal paper isn’t too simple. This is an accurate result, as they use a variety of indicators to gauge the reading level. Ginger Software is a great resource for improving grammar, vocabulary, and even translating your document, and is excellent for non-native English speakers. Ukwritings – Once you have your text written, and you’re happy with your language and the strength of you arguments, it can’t hurt to let a professional have a once-over. After all your hard work, don’t let little mistakes affect your writing by using this tool, where an expert will review your content and add amendments or changes. Word count tool – if you’re not using Microsoft Word, this is a super useful website to monitor you word count, making sure you don’t go way over the limit, or end up with an overly simplified, too short document. Boom writer will make any small corrections that are so easy to overlook. Content is a key, so once you’re satisfied that you have a solid article; it’s worth checking that the SEO and keywords will achieve what you’re looking for with this online tool. Small Seo Tools – this website will check that your keywords are the correct density – around 2-3% of the article, to be most appealing to search engines, and so be featured in the top results. Assignment writer – Last but not least, if the writing process just isn’t for you, or you’ve ran out of time, there are some talented experts who can produce high quality and original articles on any subject, for business, press releases, web content or academic articles. 6. Don’t forget to link! Using external links – they should be relevant – makes your article appear authoritative, and therefore results in better search engine results, and your reader will find you more trustworthy too. This image from Moz.com shows that linking to your own website is less valuable than linking to completely external sites, as it shows authority to what you’re saying, and search engines look to promote the most reliable content. It’s the equivalent of having the most evidence and references possible, but without clogging up your text. Thanks to google, literally everyone is a fact checker, and there are plenty of people out there who delight in highlighting grammar mistakes. To make sure your web content is noticed for the right reasons, make sure your spelling, grammar, and facts are spot on. To summarize, writing a high quality article should always be the priority, but by using your knowledge of SEO optimization and the online tools above, those amazing articles will be found so easily they’ll be viral in no time. And if you’d like to see how content curation can help you improve SEO, you should read this eBook! 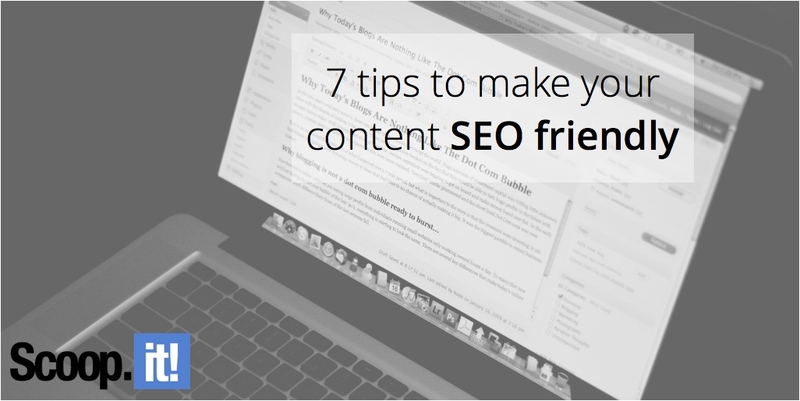 7 Comments on "7 tips to make your content SEO friendly"
Cool Thanks for that tip Patrick! Ill take a look! One of my images is featured in this post. Thanks for contacting us and sorry for the inconvenience. We updated the image credit as requested. 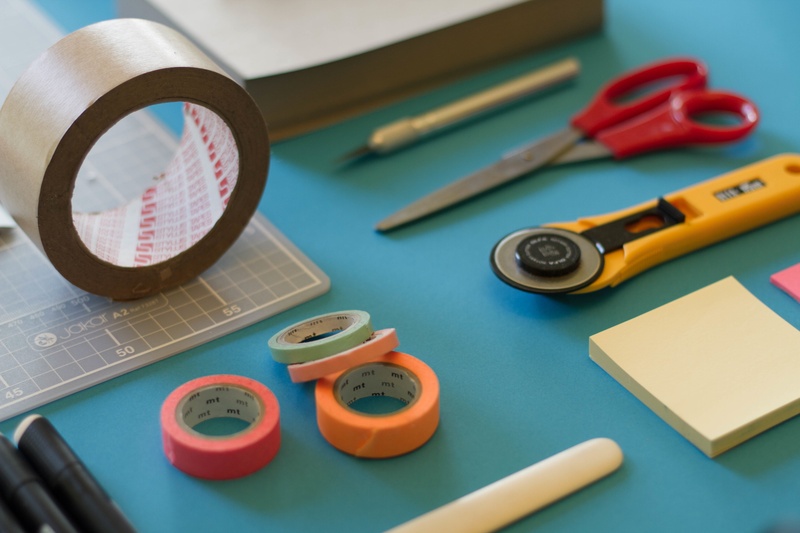 Nice tips for how to content make seo friendly. I definitely share with my colleague. Useful reading. Especially for new ones to SEO field. Thanks for putting up together all these tips. And special thanks for the list of utilize online resources. I’ve found few really new for me.